Hahaha. Caught ya! Actually, it’s just a joke done by Adam Sacks. I really salute him. Not only the background and the style is the same as Apple’s official keynote, the words that he used are also almost the same. ‘Before we start designing the iPhone 5, we studied how customers used their iPhone…’ This is something what we hear from one of Apple’s official keynotes before. And it’s really true that most people use their iPhones and smartphones to take pictures of their breakfasts, lunches, dinners and everything about food. I am also the victim of this trend. ‘With that knowledge, we went back to the drawing board…’ Man, this line is so funny. I believe I have heard this line from one of Apple’s official keynotes. I checked most of Apple’s keynotes videos but I still can’t find the video that has this line. Anyone can help? I can’t stop laughing after watching the supposed leaked iPhone 5 keynote. Hope you enjoy it also. 1. iPhone 5 will be having a smaller dock, 19-pin dock connector compared to previous 30-pin dock connector. 2. iPhone 5 will be having a bigger screen but still maintains the shape of iPhone 4S. 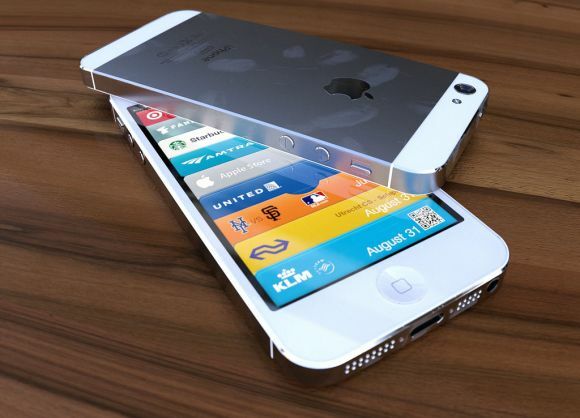 3. iPhone 5 will be launched in September 2012. Some says that it will be launched in September 21, 2012. 4. iOS 6 and iPad Mini might be launched together with iPhone 5. 5. iPhone 5 might have NFC (near field communication) just like Android devices using Google Wallet. 6. iPhone 5 will have LTE network. Everyone was expecting it for iPhone 4S but was disappointed. I think it’s about time that the new iPhone will have it. 7. iPhone 5 will be thinner than iPhone 4S and will be using a smaller SIM card than nano SIM card. Those are much more solid rumors. Below is the infographic about iPhone 5 rumors. Check it out. Infographic done by Infographic Labs. When will iPhone 5 comes to Malaysia? When will iPhone 5 be released in Malaysia? When will iPhone 5 be launched in Malaysia? iPhone 4S was releases date in US is October 14, 2011 and was available in Singapore in October 28, 2011 and finally available in Malaysia in December 16, 2011. It took two months++ for iPhone 4S to arrive in Malaysia after launching in US. So, we can safely predict that iPhone 5 will reach Malaysia somewhere in late November or early December or middle December. This is just purely prediction and not guaranteed 100% accurate. The pricing will be almost the same. iPhone 4S is sold RM2,290. So, I think iPhone 5 will be selling at almost the same price. Personally, I think iPhone does not command the same superiority as it previously held. Many great phones are in the market now such as Samsung Galaxy S III, HTC One X and Samsung Galaxy Note that are cheaper than iPhone. Hopefully Apple will consider this when they launch the new iPhone 5. What’s your say? Will you still buy iPhone 5? Maybe you referring to iPhone 4s? Yeah, I also waiting for iPhone 5, but maybe will buy iPhone 4s 1st as the price will drop as new model coming around. Oops… Typo. Thanks for highlighting it. I was writing the blogpost until late at night. Will correct it now. Haha… I am now quite neutral already ever since Android is improving a lot like with devices like Samsung Galaxy S III and HTC One X and also their Jelly Bean update. Loved some of the features there. And more important the screen size. Once you have used 4-inch and above, it’s very hard to go back to 3.5″ anymore. So, Apple must increase the size of the their screen size. Next story [How To] Fix Google Adsense Rejected Ad Requests Error! Previous story Nexus 7, The Hardest Device to Unbox Ever!! !